The only USB port on my laptop was broken some years ago by dropping it onto something plugged into the USB port. This broke the plastic core, and gluing it back resulted in poor contact with whatever is plugged in. 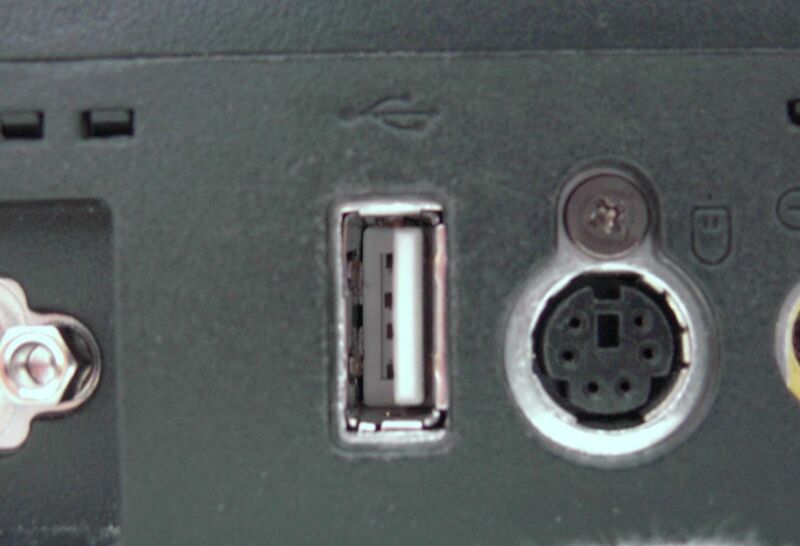 Unfortunately, it appears that the PCB-mounted USB receptacle is custom. I couldn’t find one with the same footprint on Digikey, and this one even has a hole for a screw. So replacement isn’t an option, and it’s time for a repair. The plastic core needed to be replaced, while keeping the metal frame unchanged. A new plastic core (white) was harvested from a USB extension cable’s female connector (Figure 1 left), and replaced the original plastic core (black, Figure 1 right). 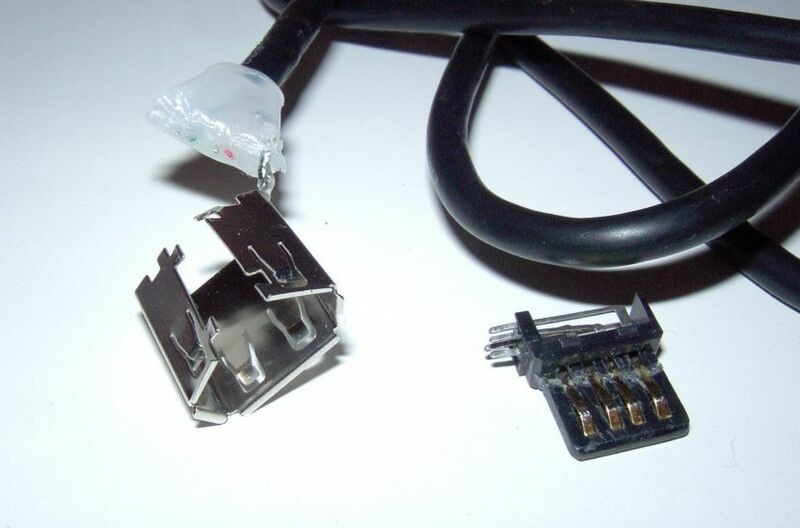 The core needed minor modification, and also wires to connect the contacts downwards to the circuit board, since the new connector’s contacts extend straight out the back, unlike the original right-angle receptacle. Figure 2 shows the finished USB port, with the new plastic core inserted into the old metal frame, soldered, and reassembled. Looks good. Works well. Success.